Choosing Joy: Coupon App Update! I haven't done a coupon post in a VERY long time. Probably because I don't do it as "extremely" as I used to. 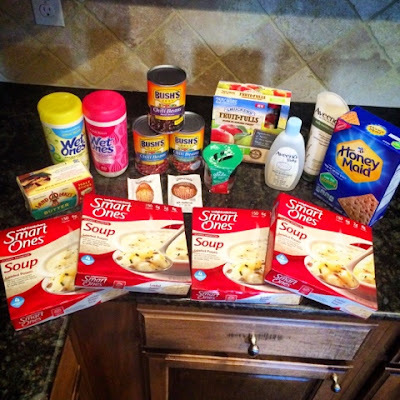 I had a pretty good trip yesterday and wanted to share it with y'all and let you in on a little couponing secret. 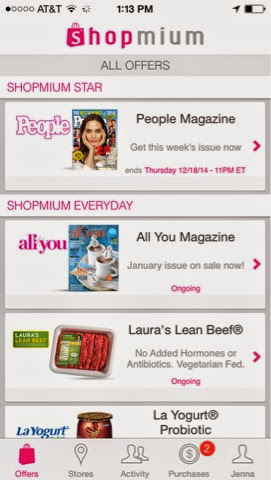 Coupon Apps! So even though I haven't been "clipping" coupons like I used to. I still use a ton of apps on my phone! Let's go through the list! Ibotta. Hands down my favorite. I get $0.25 back on milk EVERY week. You can cash out to paypal as soon as you have $10 in your account. You work as a team with other people to unlock special bonuses and December's is AWESOME because every time you get $10 back you get a free $10! Paying me to shop?? Don't mind if I do. They have almost every grocery stores and tons of online stores and other stuff now too. Amazing things from ANY brand of milk, bread, eggs, ice cream... to specifics like Pampers and Tide. Every week is different. You buy the products and then when you get home scan them through the app with your phone and then take a picture of your receipt and send it in. Usually you see the money back in your Ibotta account within a few hours. If you want to join my team on Ibotta download the FREE app and then enter the code bvswfw. I think you might get a free credit if you do this too! My lifetime earnings with Ibotta is $346.75 and I've been using it a year or so! That's like a month's worth of groceries! Checkout 51. Another favorite of mine is Checkout 51. A lot like Ibotta except you don't have to scan the products. They have a lot of fresh produce items and often have eggs. You get mailed a $20 check when you get to $20. Bonus is that you can use these two apps together for the same items! Double savings! Shopmium. Love love love Shopmium too. Lots of Organic and Natural products on Shopmium. Same concept as the others but the money back deposits straight back into Paypal usually within 3 days. You can sign up with my referral code (GHUMKEWP) and get a FREE Lindt Chocolate bar! 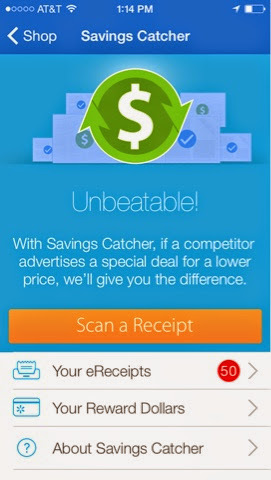 Again you can stack these offers with the other apps if they match up! Walmart Savings Catcher. So my husband works for Walmart corporate and I (obviously) do most of my grocery shopping there. It helps WM and his paycheck and bonus... and we have a discount card so it makes the most sense for me to buy things there! 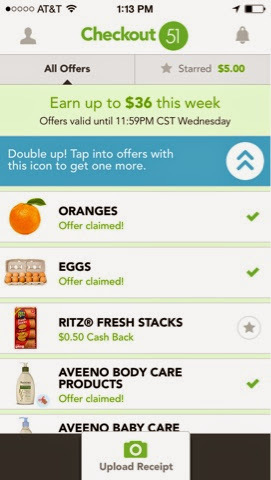 They have a new app where you can scan your receipt and they'll check competitors for lower prices on the items you bought and if they find one they'll give you the difference back on a Walmart Giftcard. I'm not sure if this has rolled out nationwide yet, but I know it's in NWA and in most big cities. It takes a little longer to rack up money this way BUT if you have a Bluebird card, they will DOUBLE your earnings to spend back at Walmart... um ok. Free money? Don't mind if I do. I've earned $28.42 back as of today (over maybe 3-4 months) and I've put it all on my Bluebird card so that's over $50 without me having to go through the trouble to looking at competitors ads. I really put it to the test a few weeks ago. Bryan was with us at Walmart on a Sunday and I bought Honeycrisp apples (EXPENSIVE but so delish!) and I knew they were on sale at another local grocery store for 4/$1 and WM had them for like $1.50 a piece. I was upset that he went through self check in the lawn and garden and there wasn't anyone around to help us do the price match so we paid full price. I scanned the receipt in like always when we got home, and a few days later it caught that sale and refunded me the $3.50. BOOM! I use Cartwheel at Target also. But I've really stopped going there as much because it's kind of far from my house and it's not really fun shopping with two kids. So let me show you a little trip I did using these apps yesterday. I went to Walmart with a list of a few things that I had to get and then looked through my coupons and the apps and found some great deals. 2 Wet Ones: $2.28 each. -2 $1/1 mfc and submitted for Ibotta rebate of $1.50. Land o Lakes 1/2 butter sticks: $4.78. Submitted for $1 Ibotta. 3 Bush's Chili Beans: $0.92 each. Submitted for $1 Ibotta. Glade Candle: Sale $2. -$1 mfc and $0.50 C51 app. 2 Justin's Almond Butter Packets: $1 each. Submitted $0.75 and $0.50 Ibotta. Fruitfuls: $3.98. Submitted for $1 Ibotta. Aveeno Baby wash and lotion: $4.97 each. -$3/2 mfc and $2 and $2 C51. Honeymaid: $2.98. -$0.50 mfc and $0.50 Ibotta. 4 Smart Ones: $2 each. -$1.50 Ibotta. I also get a 10% discount at Walmart. So that took off $4.09. Bringing the total to $30.38. I got $7.75 back from Ibotta. PLUS I hit the team bonus of an extra $10 back. Bringing it to $12.63. Then I got back $4.50 from Checkout 51 AND hit a bonus there and got an additional $1. Bringing the grand total to $7.13 for almost $41 retail value. That's an 82% savings. I submitted my Savings Catcher but don't have it back yet. And there was nothing on this trip from Shopmium. Now here's where I will tell you that on things like the beans and butter I would usually buy store brand. With the Ibotta savings these were cheaper than store brand and I knew I was close to getting that $10 bonus so it was well worth it. I get my manufacturers coupons from the Sunday newspaper or from coupons.com. I hope that helps! Please let me know what questions you have or if there are any other apps that you love!!! Ok this post made me tear up for sure! Kids are such precious blessings. 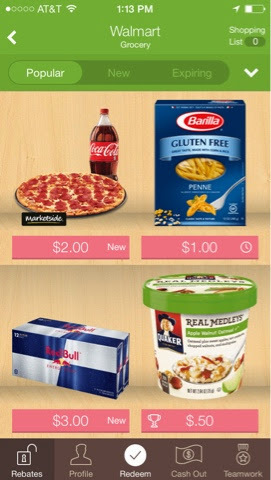 We just got a WalMart in our small town in Monroe, WA and I was able to use the savers catcher app! Got $3.05 back on my first purchase! It's fun!! Thanks for the other tips!! Precious, precious moments and memories!